Alice set up Wild Sparks in October 2013 and is involved with all programme areas, including Mondays in the nursery. Alice previously worked as a playworker, education officer and community artist before undertaking Forest Schools training in 2009. Forest Schools has enabled Alice to bring all her favourite things together in one practice; children, nature, free play, creativity and a sense of adventure; no two days are ever the same. Alice was lucky enough to grow up amidst woods and farm land, surrounded by space to roam, climb, build, explore and admire, so she knows what it feels like to be a nature connected child. Alice set up Wild Sparks to support local children to get out into the incredible woodlands on their doorstep and experience the exhilarating freedom of nature-based, adventurous play. Jo joined the Wild Sparks team as a sessional leader in 2014 and has since gone on to take up the post of Nursery Manager-Teacher. Jo has a teaching background with a specialism in Early Years, ASN and Literacy. 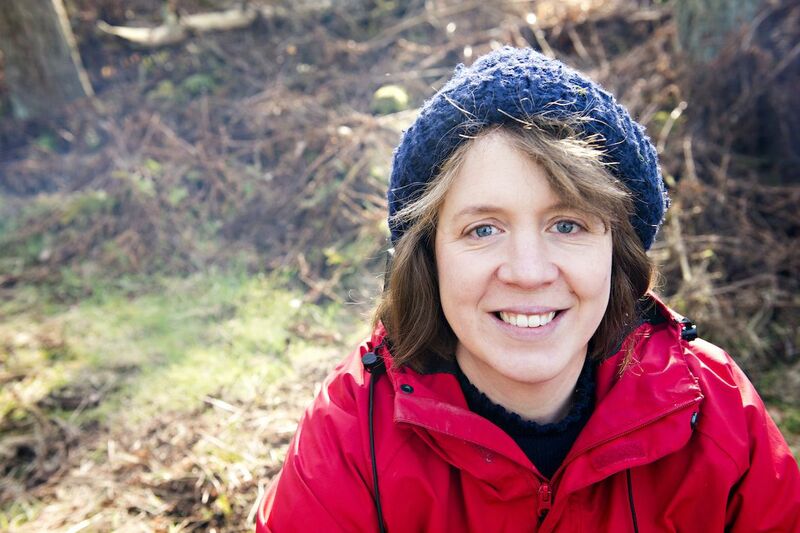 In 2010 Jo took the opportunity offered by motherhood to move her career outdoors and trained as a Forest Schools Leader. This prompted reflections on her own childhood, the huge amount of time spent immersed in nature, and how formative this was. Now, as a mum of three wee boys, Jo is inspired on a daily basis by the way they thrive outdoors, exploring, experimenting, and learning about nature and themselves. Jo is delighted to be returning to her first love of early years practice as the new Wee Wild Sparks Teacher-Manager. Rebecca 'Becs' works in our Outdoor Nursery on a Tuesday and from time to time on our summer playscheme at Dunkeld or Alyth. ​Becs is passionate about outdoor learning, has completed her Forest Schools Level 3 training and has an MSC in environmental Resource Management. When not in the Wee Wild Sparks woods Becs is either at her other job with John Muir trust or is outside somewhere home-schooling her son! Sam joins the Wee Wild Sparks nursery with a variety of experience under his belt. He has worked with different groups in outdoor settings - from young children and teenagers, to adults with mental health problems and elderly people living with Alzheimer's. This has provided further proof for Sam of what we already know: spending time outdoors, developing a deeper connection with nature and succeeding in a variety of environments is good for our well-being. It doesn't matter what age you are or what your level of "ability" is, given autonomy and the right support, we can all learn and grow in the outdoors. Having worked at the Wild Sparks play scheme at Alyth and Dunkeld for the past two years, Sam was keen to take on a permanent position at the nursery. The opportunity to work in such a supportive and positive environment - alongside the adults of tomorrow - was too good to miss!